Both sashes are carefully removed. New parting beads are fitted down both sides of the sash box. Sashes are routered with a channel for new draught strips. Then fit the carrier and brush strip. Sashes are re-corded and are balanced for a smooth operation and are fitted back into existing frame. New baton rods are fitted with draught strip inserts. Replace any broken glass. Single glazed or double glazed units. Replace all rotten timber sections. Restoring the original sash box. Repointing the original external sand mastic. Replacing ironmongery – pull rings, centre catches, safety locks. Fitting simplex systems to open bottom sash for cleaning purposes if property is off the ground floor. 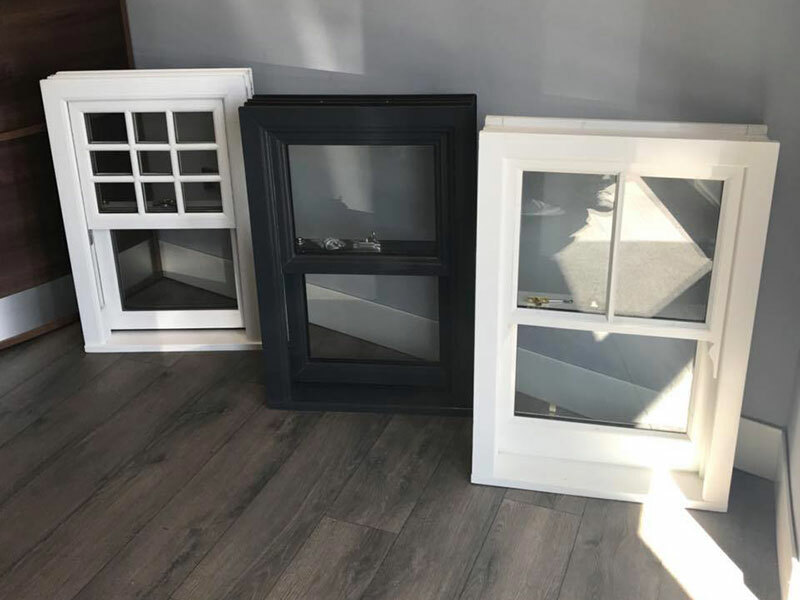 We also supply and fit new sash and case windows. These are manufactured from a high performance treated timber which comes unpainted, or with finish paint. 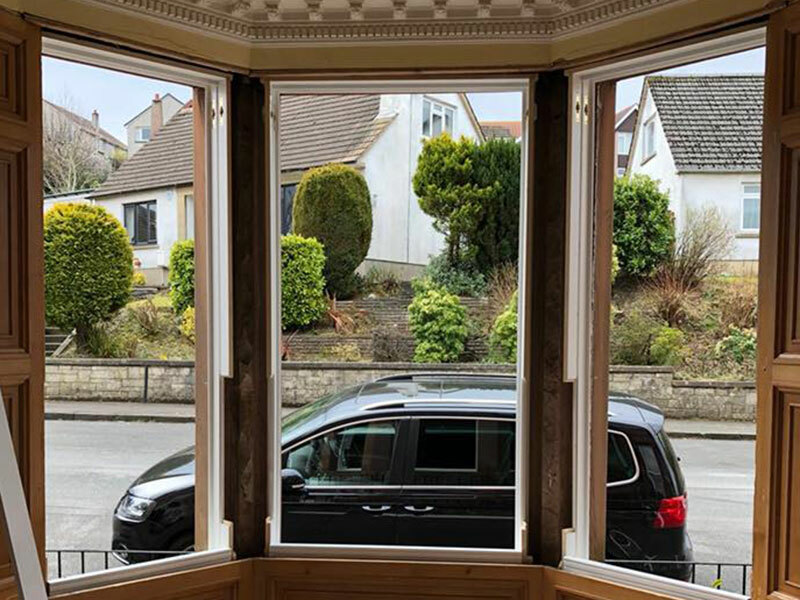 The new windows are fitted with double glazed units made with “keep heat” glass which works towards heat retention. New sash and case windows can be made to match existing mouldings and styles.